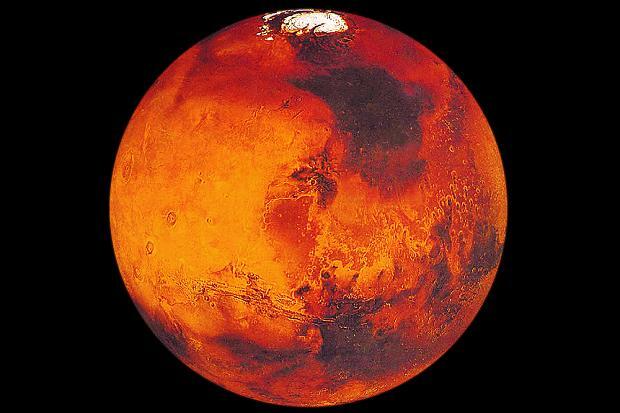 A study published in Nature Geoscience on Monday provides evidence that Water is present on the planet Mars. High resolution images show a pattern of salt on the slopes on the planet. These are consistent with flow of salty water. The images show recurring slope lineae, narrow features typically less than 5 metres in width, that appear on slopes during warm seasons, lengthen and then fade during cooler seasons. Lujendra Ojha from Georgia Tech and colleagues analysed spectral data from the CRISM instrument onboard NASA’s Mars Reconnaissance Orbiter for locations where the recurring slope lineae are present. They devised a method to extract spectral information from individual pixels of CRISM data, and the spectra they obtain in all locations examined are consistent with the presence of hydrated salt minerals that precipitate from water. In contrast, the spectral signature for salts is not present in the background spectra of the surrounding terrain. The team doesn’t know where the water is coming from, or how much of it there is yet. If water exists now, this suggests that life too could be found on the planet. This finding is good news for the aspiring astronauts from Earth who want to make Mars their home.